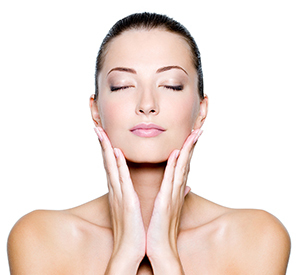 The UK’s original and best-selling non-surgical face lift treatment, CACI (Computer Aided Cosmetology Instrument) is a micro-current treatment which stimulates muscle memory in the treatment area resulting in a visibly firmer, lifted and more toned complexion. CACI treatments have over 20 years of medical research behind them and are completely safe and painless. Available for face and neck or as a targeted eye treatment, wrinkles and fine lines are reduced and an overall improvement of skin tone and texture is achieved. A course of ten is recommended for initial lift and then thereafter one every four weeks to maintain the results.